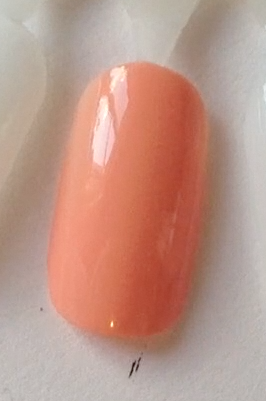 Paint the nail a peachy colour. 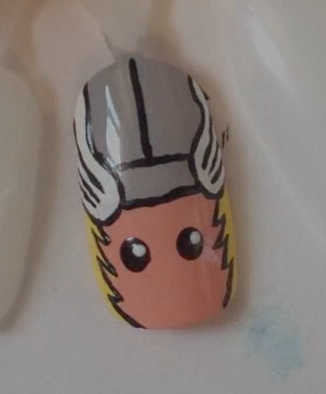 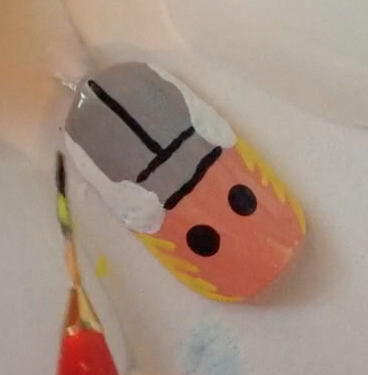 Paint the top half of the nail grey. Outline the white wings on either of the grey. 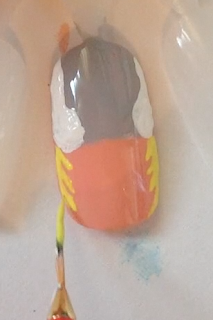 Then fill in the wings with white. 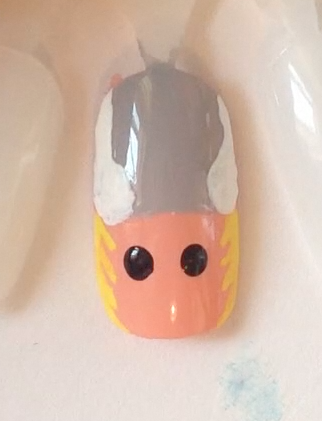 Paint yellow hair down both sides of the peach skin. Add detail lines to the grey helmet. 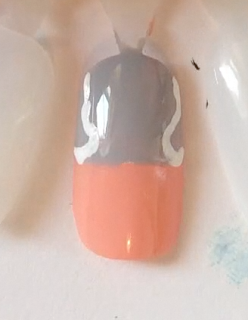 Outline the wings and hair with black. Add detail lines to the wings. 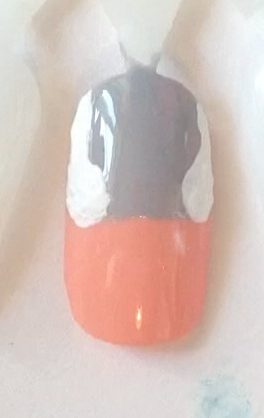 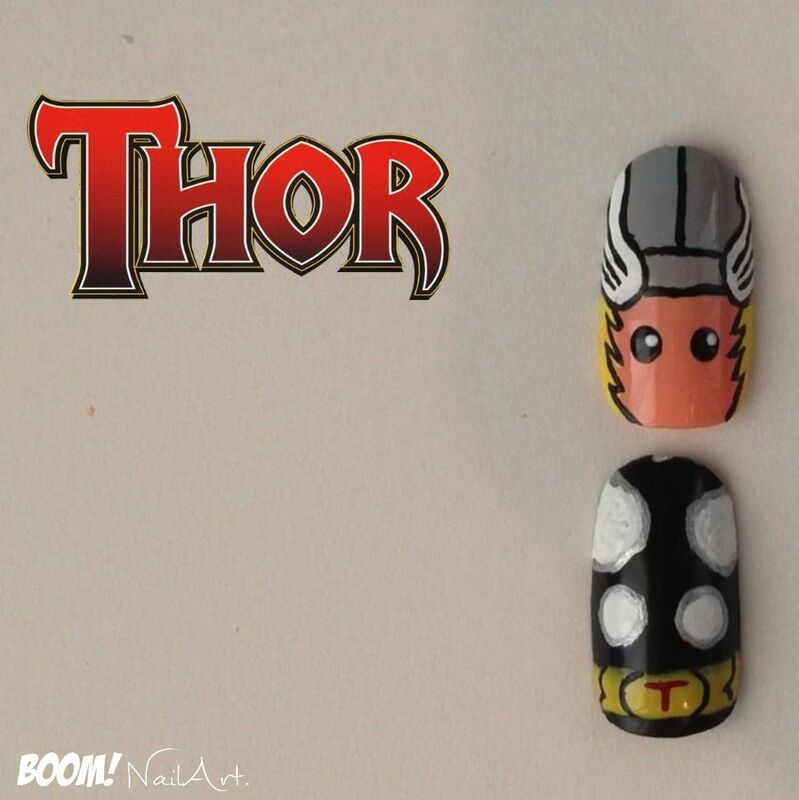 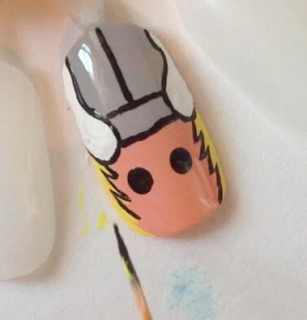 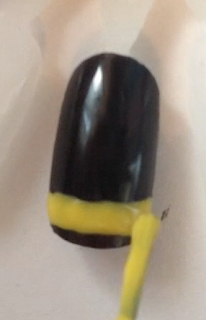 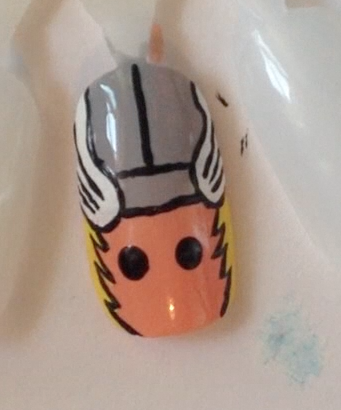 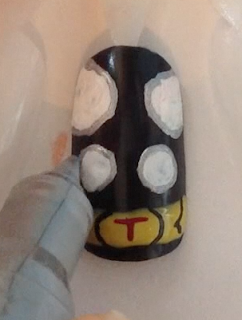 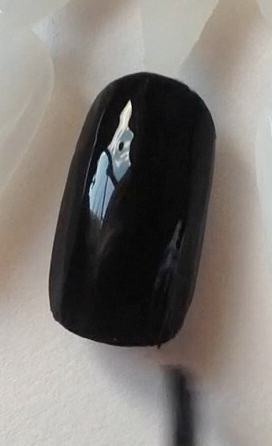 Add a yellow line near the bottom of the nail. 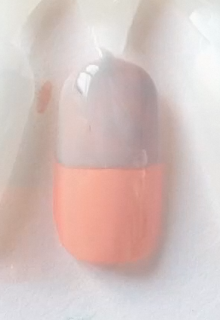 Paint 2 big white cycles on either side of the nail near the top, then 2 lightly smaller ones below. 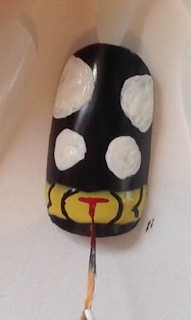 Add detail to the yellow belt. 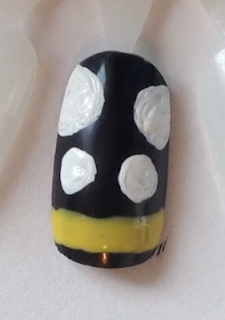 Outline the white circles with silver.